When I first heard Diamonds, I got such a good feeling of nostalgia, I had to listen through my favorite songs from previous Hawk Nelson albums. I remember being blown away by the cheerful lyrics and upbeat music. Diamonds makes you want to get out of your chair, grab a partner, dance around and rejoice, but there’s something really special about this particular album, and I got to speak with Daniel Biro about it. When I called him for our interview he was just a couple hours away — I live in Ontario, Canada — so we bonded over the small-world connection, and I knew this was going to be a great interview. Biro is a genuine guy, full of compassion and friendliness and, since he has been with the band since its genesis, he was the perfect person to speak to about the new album. I had a good listen to Diamonds and I absolutely love it. There’s something special about it lyrically. Tell me about the theme of the album: the concept of a diamond. Our lead singer Jon really wanted to communicate a hopeful record that has lots of energy. There are seasons for more downcast, melancholy music, but, this time, he wanted to offer something uplifting. What I want people to get is that we’re not skirting around real issues. The whole concept of a diamond starts with coal, which changes form under pressure over time, similar to the trials in our lives. It’s like God is turning us into something better and more beautiful through the pressures of life, which we all go through. We’re not pretending they don’t exist; we’re just looking at how God is working through those struggles. That must be it then: The lyrical element that stuck out to me. It’s so simple, yet it’s a great way to look at our challenges in life: believing God will use them to make us shine. I also really enjoyed the sincerity of the album. There are many worship albums that sound like a performance, but Diamonds comes off so genuine. How do you all stay inspired to keep writing music in that way, even though you’ve been writing for years? That’s something all of us should ask every year: Why are we doing this, what do we want to say or communicate with people I meet, or my family and friends? I think that’s something we can all stand to benefit from. We knew that if we were going to do this — which could be our last album — we should make it as awesome as we can, celebrate life and all God’s done. Life isn’t perfect, but we’re really happy and I think that just comes out in the music. With Diamonds, we decided to just thank God for something. If we start by encouraging others to be grateful for what we do have in life, it’s a gateway to joy for everyone. I know it’s pretty overt, but I really like the lyrical direction Jon took. It’s very intentional. Every line matters and holds its own weight and I love that. Sometimes I wonder if it’s too bold, but I feel confident giving this album to anyone. God can use it to reach anyone. In fact, He is using it to reach me even though I’m a part of it. We so wanted to cut through all the religious Christianese and we want people to know God believes in you and He is for you. They need to know God is on their side. Another thing that makes this album unique is we did a lot of the production ourselves. We’re in an age where bands are taking control of their own production from the earliest stage. I think the more a band can do themselves, the more success they’re going to see. It’s more refreshing to produce alone because we have the freedom to add our own flavor. We take more risks doing it ourselves. That being said, it also comes with the chance of finding your own niche. Finding your own thing takes time. It’s awesome you all intentionally focused the album to encourage people as a whole. Anyone can get something good from it. It’s great to hear an album that is all about joy. I think we need more of that today especially since there’s been a lot of bad news going through the media. People need something to be glad about. We need hope. You’ve been playing music for over a decade. How do you manage band life with personal life? Has it become easier along the way? It’s been a ride, and it’s had ups and downs, just like most people in their jobs. It’s something that can become mundane or harder with time, and I think, with age, it’s become harder to leave home because you start to realize just how short life is. Today might be all you have, so you want to spend it with those you love. As a band, we’re all best friends and it’s weird — for me, it hasn’t become easier. It’s become much harder to leave home. But when you make a record and you believe in what it’s saying, it makes it easier. If I was at this stage of my life working on an album like our first one, I wouldn’t be able to do it. But with the message we want to send through Diamonds, it’s worth it to me: sharing with the world that you don’t have to be perfect, God can fix your life where you are. That’s a viable reason for me to go out and work through the band. Thankfully though, we’ve been blessed with a pretty balanced schedule. Having a good relationship with the band after is definitely important, even keeping those connections with ex-members. On that subject, what’s one of your favorite memories of being with Hawk Nelson that stays with you today? Totally. I love the guys we got to be in a band with. I ran into one of the original members last night while in Peterborough. I didn’t know I was going to see him; it’s been about ten years since we toured together. He was on the first album and that was it, and we were close. All the guys in the band, it was like we were our own band of brothers. We go do war together; make memories — it’s like your own family. Some people don’t get that at their jobs, and sometimes it’s just about stepping out of it to realize how good it is. I’m pretty grateful for the relationships we have. What’s one important thing you want listeners to get out of Diamonds? When I think about family members and people who have denied God, I want them to know God is for them. He’s not a set of rules. I want them to know there is hope and that’s why we’re drawn to this relationship with God and Jesus. Diamonds showcases that — and it’s awesome and fun musically — but there’s more to it. If it were just about the instruments, I wouldn’t be doing it. Life has to be about something more than just living and breathing and dying, and I think Diamonds helps people look more at the big picture and points at God a little more. 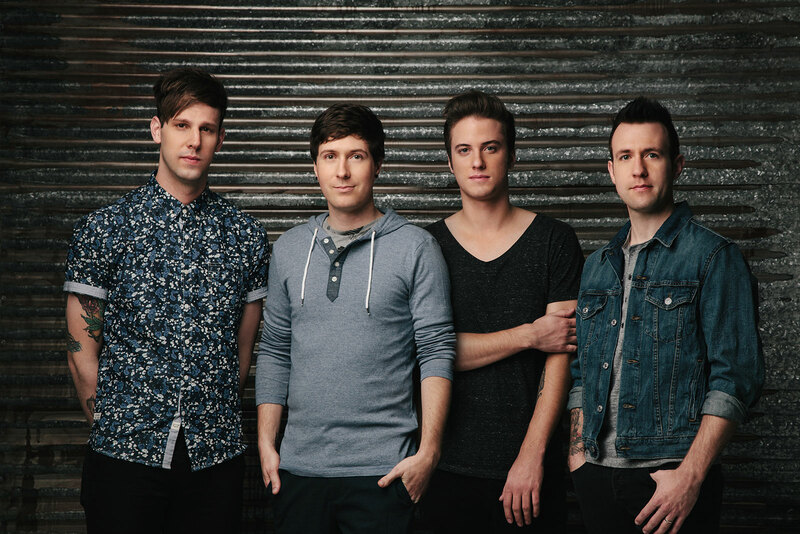 Hawk Nelson was posted on March 10, 2015 for HM Magazine and authored by Sarah Dos Santos.